How, then, can the healthcare industry generate feel-good emotions from CX while reducing negative responses? The solution resides in personalized video - direct one-to-one marketing messaging which speaks clearly and concisely to the consumer. Prepare members for open enrollment - Through the medium of personalized video, healthcare providers demonstrate how members can get the answers they need to make the right plan choices. A video walk-through helps explain current benefits, compares plan options and elects coverage choices. A high level of preemptive care sets members up for success, and an added dose of personalization shows them the provider cares about them on an individual level. Welcome and onboard members - A personalized approach educates new members on important first steps to drive digital adoption and member actions. Personalized video addresses the member by name and explains when the plan starts, how it works and what it includes, while offering helpful payment reminders and online links such as “Find A Doctor,” “View Your Benefits” and “Estimate Your Cost.” By starting a relationship with this level of one-to-one engagement, healthcare payers show members that they are here to help and empower them. This added layer of value shows how personalization can be so much more than just individualizing members. Simplify explanation of benefits - The application of personalized video to a standard explanation of benefits (EOB) statement gives consumers a more digestible and easy-to-understand form of communication than text. By leveraging a patient’s electronic health record (EHR), a personalized EOB video deciphers the complexities of how plan costs work, including deductibles, coinsurance, copays and out-of-pocket maximums. 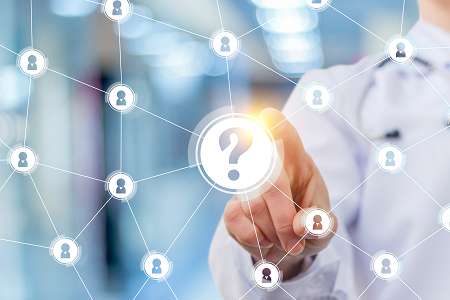 Answer claims and coverage questions - Healthcare payers use personalized video to guide members through a claim and their coverage, indicating the doctor, how much has been paid or is owed and the cost-of-care. Members receive an explanation of the benefits of funding and their health savings accounts. When integrated into a web portal and other digital platforms, personalized video also supports members’ ongoing questions. By engaging members with personalized messages beyond just their first couple of communications, healthcare companies make known to members that they aren’t just trying to make a great first impression but actually care about being by their side every step of the way. Personalized video is the prescription of choice for healthcare CX. At a range of touchpoints throughout the customer lifecycle, a personalized strategy enhances member and patient relations, which in turn gives a boost to patient retention and overall consumer satisfaction. For an industry built on the essential question of, “Are you feeling better?” the power of sight, sound and motion - when combined with human emotion - makes consumers feel better in more than just the physical way. Rachel Eisenhauer is Head of Marketing at SundaySky.